The holidays are a magical time where people come together in celebration. Despite the cheer and happiness in the air, danger is also lurking in every corner. Based on the National Center For Health statistics, patients are far more likely to visit the ER during the holiday season. In fact, the month of December is marked as one of the top deadliest months of the year. Because of the increased rate of danger during the holidays, patients generally end up visiting their local hospital. Unfortunately, the costs of healthcare are rising to new levels. One small cut or bruise could equate to hundreds of dollars! Keep yourself safe this winter season by reading our blog of the top reasons for going to the hospital. By reading the list below, perhaps you can take preventative measures to ensure yourself a safe and debt-free holiday! 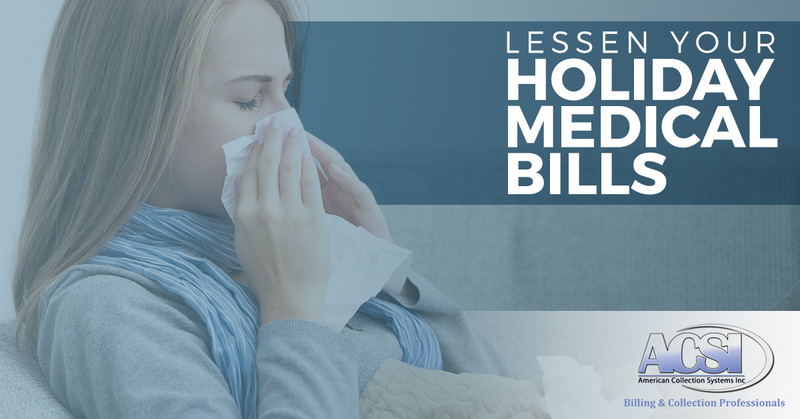 The flu is rampant in the winter. Runny noses and deep chest coughs go together in this season like lights on a Christmas tree. However, there are preventative measures that you can do to make sure you won’t get sick, especially since the winter season is when you generally partake in more social gatherings. Keep yourself healthy for your social functions by having a bottle of hand sanitizer on-hand. Viruses can live in and on everything you touch, so by disinfecting your surfaces and hands you can prevent the onset of an influenza outbreak. You can also get a flu shot. Local places such as Walgreens and Walmart both offer vaccinations for the influenza virus each year. By vaccinating yourself, you can take action against contracting the influenza virus. Going to the hospital is never fun, especially when you don’t feel well. ER visits can be expensive and medications can rack up a pretty penny. Make sure you have insurance that can cushion costs and help you afford the antibiotics you need. Along with the joy of the winter season, comes the gusts of snow and the creation of slick roads. In places where snow has an annual presence, car accidents are more likely. When the roads are slick or icy, tire traction is at an all time low. It is estimated that during the holiday season 27,900 people will be in a serious or fatal car crash. However, there are preventative measures you can take to ensure you and your family travel safe this winter. By reducing your average speed this season, you can severely limit the amount of times your car will hydroplane. Hydroplaning is when you vehicle loses traction ability and skids a layer of ice on the road. When you hydroplane steering is useless and often leads into colliding with over cars. Depending on the severity of the crash, an ambulance may be called. The average cost of an ambulance is anywhere from 400 to 1,000 dollars, not including mileage. 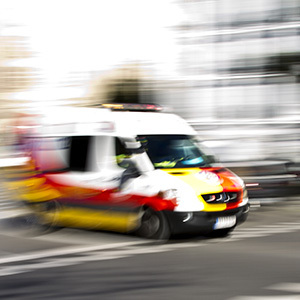 Billing for ambulance rides vary by state. Nevertheless, you should always take extra measures to ensure that you will never have to find out how much an ambulance will actually cost you. Gluttony is very present during the holidays. Different treats and meals are presented everywhere, which are very difficult to resist. However, those with poor health should be aware and cautious about overindulging. This caution is reserved especially for those with hyperglycemia. If you are hyperglycemic, overindulgence could lead to a trip to the ER, or worse, a coma or death. Practice caution this season and prevent an unwanted ER visit. Hospital visits are expensive enough for quick treatment, let alone long-lasting hospitalization. During the holiday seasons, tensions are high. For most, the holidays signify a time of togetherness and love. But for others, the holidays can be a painful reminder of things lost or broken, thus invoking rage. It has been reported that the holidays see a spike in domestic violence-rated hospital visits. Due to this, those at risk for domestic violence should possess self-defense tools to ensure that extensive physical harm cannot occur. Emergency Room visits are expensive, adding broken bones to the list of treatments needs, only elevates the cost of your visit. 5. Cuts, Bumps, and Bruises. Common cuts are treated on the daily at any ER, however, the holiday season creates a spike in the number of hospital visits. Whether you nicked yourself cutting the turkey or fell off the roof putting up Christmas lights, the result will lead into hundreds of dollars in medical expenses. Keep yourself safe this season by taking preventative measures to make sure the only thing you remember is the celebration, not your hospital bills. However, even if you complete all the provided preventative measures, accidents do happen. We cannot always control what happens to us, which means we need to go to the hospital. By going to a hospital, you must pay your bills for the treatment you received. Much like any service, you have to pay for what you get, however, you want to entrust your bill payments to a company that knows and understands the likelihood of accidents. You want a medical collection agency like Bonded Business Services. We can not only complete our job well, but we are patient with our customers. By following our list and trying to prevent injury, you can be assured that you did everything in your power to stay safe. Plus, by at least being cautious, you can soften or lessen possible effects which lower the amount of money you have to spend in the ER.